Stones “thrown down” from the wall of the temple in Jerusalem, 70 A.D. I haven’t written much about the Second Coming since the release of my book, In the Last Days, but I continue to study the topic with great interest. In my heart, I feel these events are imminent. I see it in the behavior of the faithful Saints around me. The truly faithful are watchful, wary, but not worried. They are listening carefully to the counsel of leaders, but not overdoing it. They are quietly and carefully preparing, without fanfare and without fear-mongering. They are spending more time in the temple and in the scriptures, two things they treasure. They are repenting and drawing closer to God. They don’t worry so much about social standing as they do about kneeling in private. They have confidence and peace in God and in themselves. They are not deceived by the mockers who are leaning so far out the windows of the great and spacious building—accusing and pointing their fingers—they are about to fall out (see 1 Nephi 8:26, 27). Keep your eyes and ears and heart open to what is good and right and true though at odds with popular sentiment. “Watch . . . and pray always” (Luke 21:36). Treasure up the words of eternal life, for “whoso treasureth up my word, shall not be deceived” (see Joseph Smith-Matthew 1:37). Don’t get distracted by the empty promises of the world, shutting off divine communication through “the cares of this world, and the deceitfulness of riches, and the lusts of other things entering in” (see Mark 4:19). 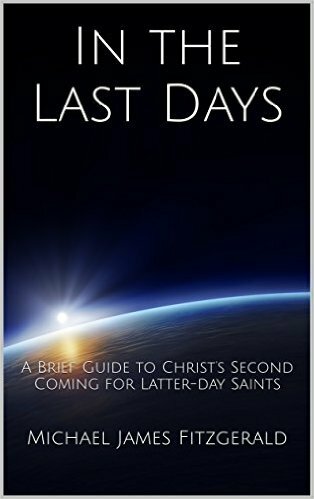 I’ve compiled posts from this blog on the Second Coming into book form and called it In the Last Days: A Brief Guide to Christ’s Second Coming for Latter-day Saints. The book is available on Kindle (free to Prime and Kindle Unlimited users) and as a free PDF download. The guide examines a wide variety of scriptural passages that cast light on the Last Days, the Second Coming of Jesus Christ, the Millennium, and the end of the world. It retells events surrounding the Second Coming of Christ, mainly through the Standard Works—the Bible, the Book of Mormon, the Doctrine and Covenants, and the Pearl of Great Price—but also through archeological, historical, and statistical sources. The original posts appeared on this blog between September 2014 and November 2015. At or just before His Second Coming, seven angels will sound the trump of God to the inhabitants of the earth, preparing them for the appearance of Jesus Christ. All nations on earth will hear these startling messages of judgment and destruction (D&C 88:94) and “fear shall come upon all people” (D&C 88:91). Seven is a sacred number representing perfection or completeness. These angels will have a lot to say and do to finish their work of preparation. Following is a recap of some of their messages as recorded in the Book of Revelation, chapter 8 through 18 and in the Doctrine and Covenants chapter 88 verses 87 through 116. • “The first angel sounded, and there followed hail and fire mingled with blood, and they were cast upon the earth: and the third part of trees was burnt up, and all green grass was burnt up” (v. 7). • “And the second angel sounded, and as it were a great mountain burning with fire was cast into the sea: and the third part of the sea became blood; and the third part of the creatures which were in the sea, and had life, died; and the third part of the ships were destroyed” (v. 8–9; compare 16:3). • “And the third angel sounded, and there fell a great star from heaven, burning as it were a lamp, and it fell upon the third part of the rivers, and upon the fountains of waters; and the name of the star is called Wormwood: and the third part of the waters became wormwood; and many men died of the waters, because they were made bitter” (v. 10–11; compare 16:4–7). • “And the fourth angel sounded, and the third part of the sun was smitten, and the third part of the moon, and the third part of the stars; so as the third part of them was darkened, and the day shone not for a third part of it, and the night likewise” (v. 12; compare 16:8–9). The first 12 verses of chapter 9 speaks of the fifth angel who has the key to the bottomless pit and who will send forth and hurt “those men which have not the seal of God in their foreheads” (v. 4; compare 16:10–11). Verses 13 through 31 talk of the sixth angel. If my math is right, this angel foretells the appearance of 200,000,000 mounted horsemen—when or where was there ever an army to compare—who go forth to destroy many of those who will not repent. (See also chapter 16:12–16). In chapter 10 of Revelation, the seventh angel (v. 7) comes down from heaven (v. 1) and “in his hand [he has] a little book open: and he set his right foot upon the sea, and his left foot on the earth, and cried with a loud voice, as when a lion roareth: and when he had cried, seven thunders uttered their voices” (v. 2–3). John was forbidden to write what the seven thunders uttered but upon ingesting the little book in the angel’s hand was promised that he would yet prophesy “before many peoples, and nations, and tongues, and kings (v. 11). (See also chapter 16:17–21). Then again, in the 14th chapter of Revelation, we read of “another angel fly[ing] in the midst of heaven, having the everlasting gospel to preach unto them that dwell on the earth, and to every nation, and kindred, and tongue, and people, saying with a loud voice, Fear God, and give glory to him; for the hour of his judgment is come: and worship him that made heaven, and earth, and the sea, and the fountains of waters” (Revelation 14:6–7). Then another angel speaks saying, “Babylon is fallen, is fallen, that great city, because she made all nations drink of the wine of the wrath of her fornication” (v. 8). Then the third angel speaks: “If any man worship the beast and his image, and receive his mark in his forehead, or in his hand, The same shall drink of the wine of the wrath of God, which is poured out without mixture into the cup of his indignation; and he shall be tormented with fire and brimstone in the presence of the holy angels, and in the presence of the Lamb . . .” (v. 9–11). And several others followed, one saying: “Thrust in thy sickle, and reap: for the time is come for thee to reap; for the harvest of the earth is ripe” (v. 15–20). In Revelation 15, John tells us that the seven angels will pour out the last plagues on the earth. Chapter 16 recounts the plagues and their effect on those who “repented not of their deeds” (v. 11). Doctrine and Covenants 88:92–106: also speaks of seven angels, angels crying with a loud voice: “Prepare ye, prepare ye, O inhabitants of the earth; for the judgment of our God is come. Behold, and lo, the Bridegroom cometh; go ye out to meet him” (v. 92). • Though not named, the first angel will sound with these words: “That great church, the mother of abominations, that made all nations drink of the wine of the wrath of her fornication, that persecuteth the saints of God, that shed their blood—she who sitteth upon many waters, and upon the islands of the sea—behold, she is the tares of the earth; she is bound in bundles; her bands are made strong, no man can loose them; therefore, she is ready to be burned” (v. 94; compare Revelation 17). • The second angel: “Then cometh the redemption of those who are Christ’s at his coming; who have received their part in that prison which is prepared for them, that they might receive the gospel, and be judged according to men in the flesh” (v. 99). • The third angel: “Then come the spirits of men who are to be judged, and are found under condemnation; and these are the rest of the dead; and they live not again until the thousand years are ended, neither again, until the end of the earth” (v. 100–101). • The fourth angel: “There are found among those who are to remain until that great and last day, even the end, who shall remain filthy still” (v. 102). • The fifth angel: “Committeth the everlasting gospel—flying through the midst of heaven, unto all nations, kindreds, tongues, and people; and this shall be the sound of his trump, saying to all people, both in heaven and in earth, and that are under the earth—for every ear shall hear it, and every knee shall bow, and every tongue shall confess, while they hear the sound of the trump, saying: Fear God, and give glory to him who sitteth upon the throne, forever and ever; for the hour of his judgment is come” (v. 103–104; compare Revelation 14:6–7). • The sixth angel: “She is fallen who made all nations drink of the wine of the wrath of her fornication; she is fallen, is fallen!” (v. 105). • Finally, the seventh angel: “It is finished; it is finished! The Lamb of God hath overcome and trodden the wine-press alone, even the wine-press of the fierceness of the wrath of Almighty God” (v. 106; compare Revelation 16:17). Then the first through the seventh angels shall sound again, revealing “the secret acts of men, and the mighty works of God” during the first through the seventh thousand-year periods (see D&C 88:108–110). What are we to learn from these accounts? That God will send seven angels at or near Christ’s coming and these angels will both pronounce and execute secret acts, woes, judgments, and destructions that will come upon the earth at the time of Christ’s Second Coming and also, it seems, at the end of the temporal world, which will occur after the Millennium. To the faithful, the trump of angels will be welcome, glorious, and joyous; for those who are not faithful, no so much. Second Coming: "All the Proud . . . Shall Be Stubble"
The Savior Himself quoted this verse, among others from Malachi, when he visited the Nephites in America after his resurrection (see 3 Nephi 25:1). He also spoke these words in modern times (see D&C 29:9; 64:24). Section 133 of the Doctrine and Covenants, the original appendix of the Book of Commandments, also cites the verse (see D&C 133:64). Who are the proud, why will they burn, and who will burn them up? Why do these words appear eight times in the standard works? Let’s uncover together a few things that the scriptures and modern prophets have to say about this searing subject. On the morning of April 3, 1989, I sat in our living room and watched Gordon B. Hinckley on TV read Ezra Taft Benson’s landmark address, “Beware of Pride.” I remember that day well. It was the day of my father’s funeral. I’ll call out just a few lines of his inspired words. I recommend clicking the link above and reading the whole talk. I believe it’s one of the most important and memorable messages from a modern prophet in my lifetime. It’s a clear, prophetic standard against which we can measure voices of contention and dissent against the messages of light. If the chatter on the Internet matches President Benson’s description of pride, set it aside and keep searching. Pride is a very misunderstood sin, and many are sinning in ignorance. . . . Most of us think of pride as self-centeredness, conceit, boastfulness, arrogance, or haughtiness. All of these are elements of the sin, but the heart, or core, is still missing. Our will in competition to God’s will allows desires, appetites, and passions to go unbridled. It was through pride that Christ was crucified. The Pharisees were wroth because Jesus claimed to be the Son of God, which was a threat to their position, and so they plotted His death. At the end of this world, when God cleanses the earth by fire, the proud will be burned as stubble [but] the meek shall inherit the earth. These words are humbling. I’m proud and I know it. I struggle with thinking I have answers when all I have is opinions. Sometimes I go a whole day without saying something arrogantly stupid, but most days I don’t. This is on my mind all the time, and I’m working on it every day. Who Will Burn Them Up? Paul said that “the Lord shall consume [the wicked] with the spirit of his mouth, and shall destroy [them] with the brightness of his coming” (see 2 Thessalonians 2:8). Christ will return with many thousands of His saints and the truly wicked will not be able withstand their presence. Light will consume all corruption and all arguments against God will be reduced to ashes (see Malachi 4:3 and 3 Nephi 25:3). Sometimes the Lord doesn’t seem to be very tolerant or politically correct. This is one of those instances. I know some people take issue with that. They have told me so. It doesn’t fit their world view. But if I know anything, I know that God lives and that His words are true. He has told us that He “cannot look upon sin with the least degree of allowance” (D&C 1:31; compare Alma 45:16). When He comes again, we will experience what that means first hand. Pride comes in degrees and we all have a degree of it. I certainly have it and I’m not proud of that. But I as I observe, I learn and do better. Awareness and admission are two keys. In the worst and perhaps most extreme sense, the proud are intellectually arrogant but spiritually ignorant. They think they know it all and imagine that they win all arguments. They set aside the wisdom of the ages, preferring instead a moment of popularity and political righteousness. They can’t ever imagine themselves being wrong or admitting that they are. They bring spiritual and physical harm to themselves and others while not regretting their words or choices. They see nothing wrong with destroying life so they can selfishly enjoy theirs. Their desires know no bounds and they love to indulge in physical pleasures. Their feel no need to stop their addictions and fixations, which alienate so many. They consider themselves the kings and queens of their own destiny. They are uninnocently immodest in dress, words, actions, and imagination. They are defensive and refuse to change. They are intentionally deceitful though unintentionally self-deceived. They are willful, unreasonable, and defiant. They set at naught the wisdom and counsel of God and the words of His messengers. They belittle what is pure and mock what is sacred. They call good evil and darkness light. I cannot judge nor condemn them. It’s not my place. But for my own protection, I need to recognize and discern them—and avoid them. And I do. Christ has said that He “will not spare any that remain in Babylon” (see D&C 64:24). My advice, to myself and everyone else, is to get out of Babylon and give up the long career of pride. That last, dreadful day will not be a happy one if we don’t. We can find a much better Employer. Author Michael James FitzgeraldPosted on September 20, 2015 Categories Second ComingLeave a comment on Second Coming: "All the Proud . . . Shall Be Stubble"
September 2015 will be an interesting month. Several astronomical events will fall on the same days as holy days on the Hebrew calendar. I’ll let you decide if these events are significant in regard to the Last Days or not. Let’s take a tour of the month and see what will happen. Rosh Hashanah (ראש השנה) or Jewish New Year is also known as the Feast of the Trumpets. It begins at sundown on Sunday, September 13, 2015. It occurs on the first two days of the month Tishrei, which is the seventh month of the Jewish calendar. Lenet Hadley Reed wrote an article entitled “The Golden Plates and the Feast of the Trumpets” in the January 2000 Ensign. I recommend it. The days between Rosh Hashanah and Yom Kippur are called the Days of Awe. A partial solar eclipse will occur on September 13, 2015, though it will be visible in certain areas of the southern hemisphere. And six years thou shalt sow thy land, and shalt gather in the fruits thereof: but the seventh year thou shalt let it rest and lie still; that the poor of thy people may eat: and what they leave the beasts of the field shall eat. In like manner thou shalt deal with thy vineyard, and with thy oliveyard. After seven times seven years comes the fiftieth or jubilee year (see Leviticus 25:8–17; see also the Bible Dictionary entry on the jubilee year). Some believe that 2015/2016 will be the 70th jubilee year since the nation of Israel entered the land of Canaan. However, there is much dissension about calendar dates so I will not go out on a limb here. Yom Kippur (יום הכיפורים) or the Day of Atonement begins at sundown on Tuesday, September 22, 2015. For Jews, it is the holiest day of the year, a day of fasting, prayer, and repentance. 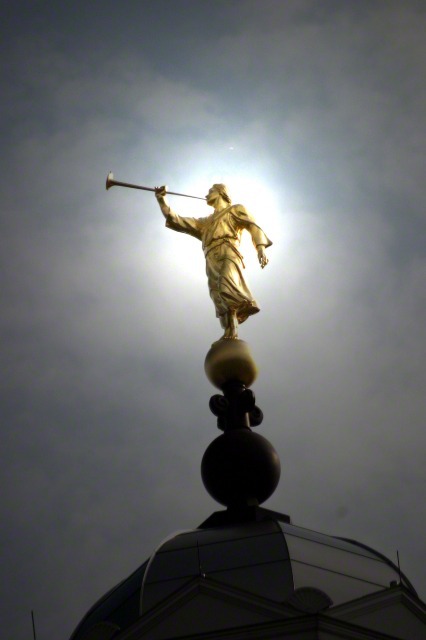 Joseph Smith received the plates of gold from the angel Moroni 188 years ago on this day; however, September 22, 1827, fell on the same day as the Rosh Hashanah or the Feast of Trumpets that year. Sukkot (סֻכּוֹת) or the Feast of the Tabernacles or Booths begins on sundown on Sunday, September 27, 2015. A total lunar eclipse will occur during the evening of September 27, 2015. If you live in northern Utah, for example, the eclipse will reach its apex at 8:47 p.m. Mountain Daylight Time. By the way, September 27, 2015 is important to me personally: I heard the first missionary discussion 40 years ago on this day and it stuck! The dates of the holy days and the eclipses are astronomical certainties. The Lord gave the “lights in the firmament . . . for signs, and for seasons, and for days, and years” (see Genesis 1:14) so there may be significance to these phenomena. But the dates for the shemitah and jubilee are not so certain. When someone makes bold claims as to the exact date of a prophesied event, well, I am careful not to board a train for which God has not given me a ticket. But it’s always good to be aware and watching. As the Savior warned, “Watch therefore: for ye know not what hour your Lord doth come” (Matthew 24:42).